Quick breakdown. 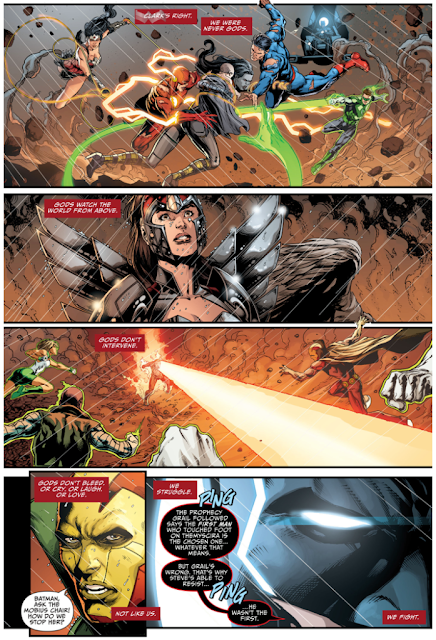 Darkseid War is about two sets of gods fighting each other, fighting another godlike entity, and fighting virtually godlike superheroes, some of whom become avatars for those initial sets of gods. Wonder Woman is a character whose super powers are derived from the ancient Greco-Roman gods who blessed her. She is allied with another superhuman, Shazam (formerly called Captain Marvel), who is similarly blessed by a pantheon of gods. A subplot in Darkseid War involves Shazam’s pantheon being replaced by an entirely different set of gods, who educate, empower, and seem to worship him as the “God of Gods.” Atop all this, Wonder Woman, during the time this story is set, is literally the God of War in that Greco-Roman family of deities. So, the God of War, next to the God of Gods, in a story about gods having fights and possessing people and arranging murders and trysts, is supposed to believe that “Gods don’t interfere.” That gods, some of whom she has just seen murdered or imprisoned, some of whom are married and kissing on the battlefield, don’t bleed or love or struggle. 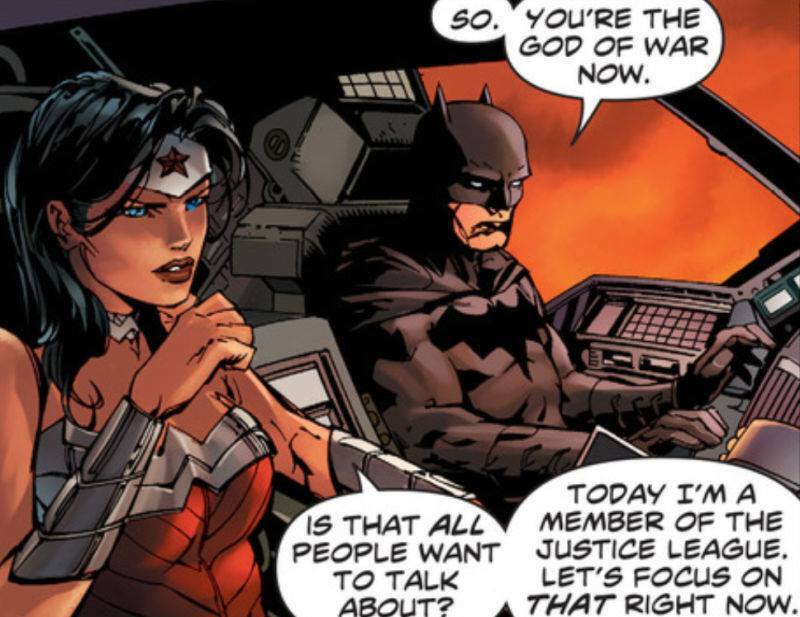 I enjoy much of Darkseid War, but knowing that dumb moment is coming puts a damper on everything I do like. Thank god it came towards the end, and not in the first pages, or I would have never made it through the story. Did the writer not just realize the entire multipart comic he wrote? Is it a bid to teach us something? The reader? What part of a God of War blessed by many gods who just fought gods screams out that she would believe gods have some kind of emotionless noninterference policy? One line is all it takes to make everything else in a comic look incompetent. To cast doubts on the ability and perspective of its writer. I know Johns isn’t incompetent. For me, the comic itself is pretty good. But, the line is so bad, so awkward and both out of character and ridiculous in the context of the story, that it could be absolutely reasonable for reader unfamiliar with Johns other work to decide he’s just not that good. That is a line that can lose you fans. It makes me question what the goal of the whole story was. What was the point? 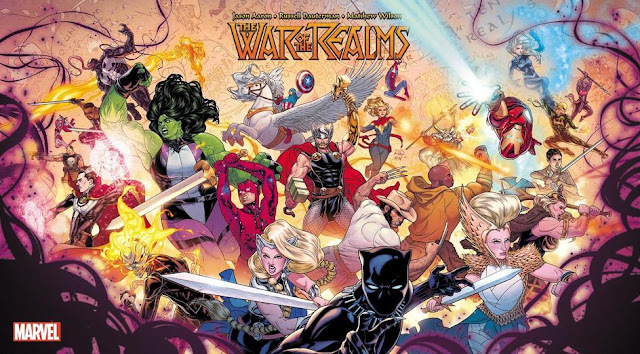 Are the gods and New Gods of the comic not gods? What, then, is a god? What god, in fiction or real life religions has never interfered, never felt or done anything? The line has to have been put in for a reason. So, what is it? No answer I can think of is worth the hassle of thinking it through.